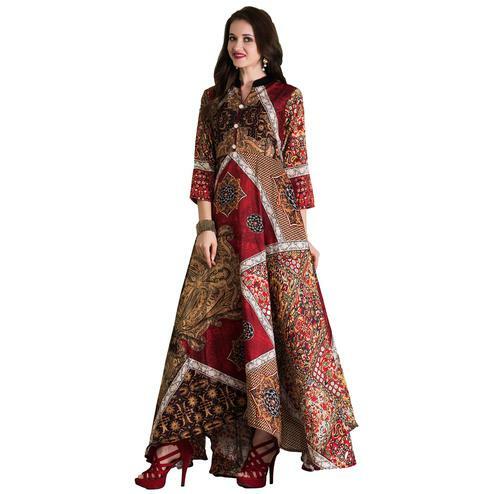 True elegance will come out of your dressing trend with this blooming brown-multi colored floor length gown. 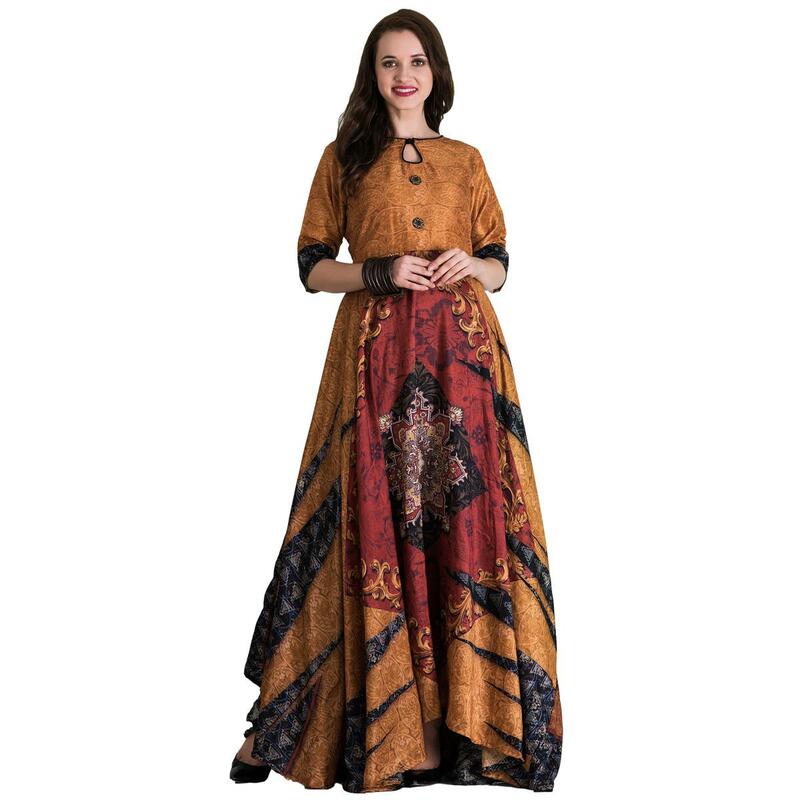 This readymade gown is made of tussar art silk that has beautiful print along high-low hemline which is eye catching. 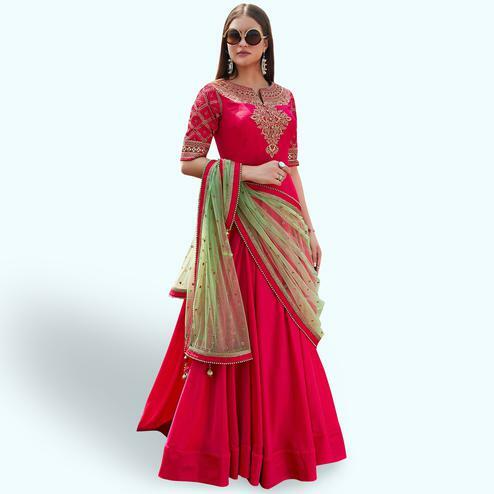 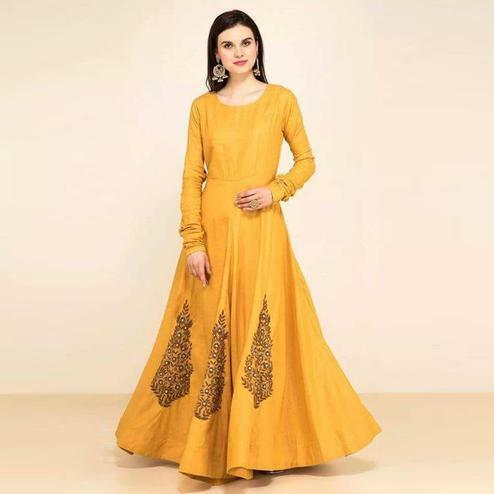 Specially designed to wear for parties, receptions, engagement ceremony and family occasions, where you want to be center of attraction. 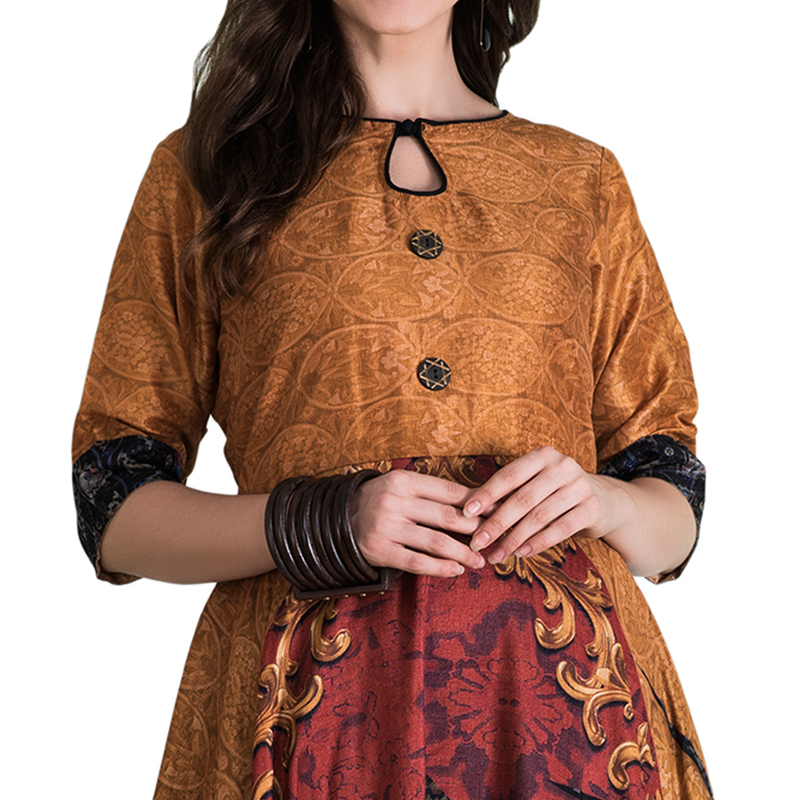 Pair it up with stylish accessories and heels to make your look more attractive. 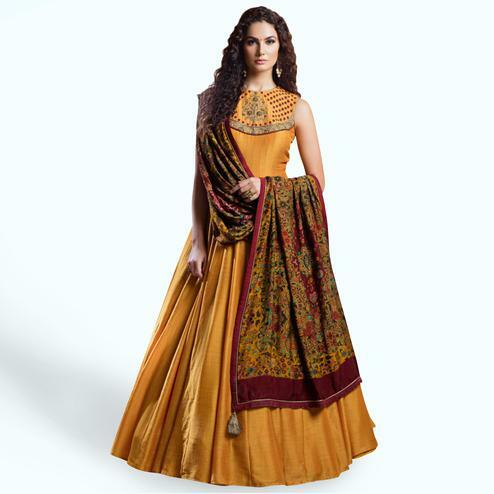 Get this gown now before it's gone out of stock.